Curd Rice is a very simple comforting South Indian dish which tastes great with any Pickles. Its also perfect for lunch boxes. Its one of our all time favorite rice dish. 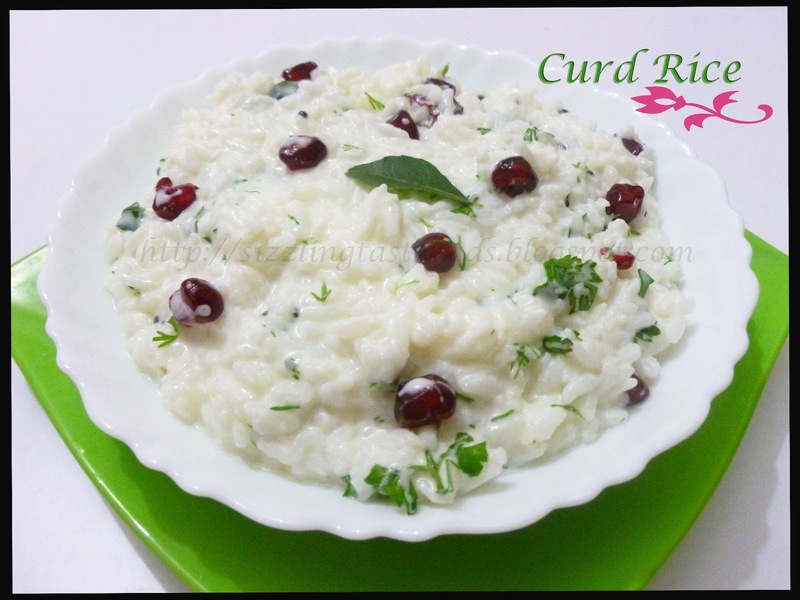 Curd Rice or Yoghurt Rice can also be prepared with left over rice. I like the curd to be little sour for this dish. Adding fruits like pomegranate or grapes enhances the taste. 1. Prepare the rice freshly or use the left over rice. 2. Prepare the tempering:- Heat oil. Add mustard seeds. When they start crackling, add urad dal and fry till it turns light brown. Add Curry leaves and Hing. Saute for few secs and then add one roughly chopped Red chilli. Switch off the flame. 3. Mix curds to the cooked rice. Add Salt to taste, green chillies, Freshly chopped coriander leaves and pomegranate seeds. Mix well. 4. Enjoy this simple Curd rice with any pickle of your choice. 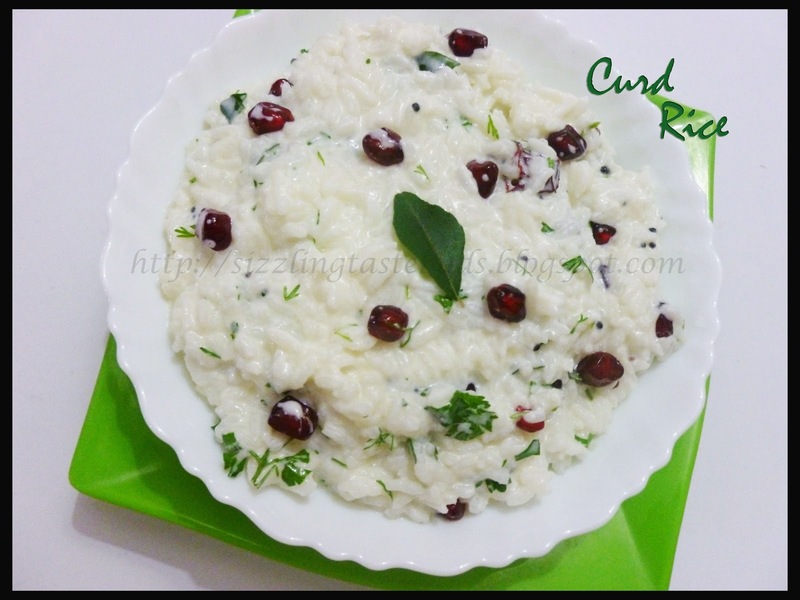 Curd rice.. everyone's all time favorite, I love to have it with mango pickles! !